“Talk” is not simply the cost of human resources; it is an investment that yields a high-performance operation. Generally speaking, the idiom “talk is cheap” is understood to mean that it is easier for folks to say what they will do rather than to actually do it. I would like to treat this idiom as a question: Talk is cheap… or is it? Think about this phrase from a contact center perspective. In the early days of “call centers,” talk WAS cheap! At least it was cheaper than previous decentralized business models where dedicated resources handled various aspects of customer service from multiple departments. Automatic call distribution (digital technology) allowed this function to be consolidated into a single business unit requiring fewer people and providing better, faster, CHEAPER service. At the time, talk was cheap… at least cheaper than before. Fast forward 20 years and we find that many low-frequency contacts have been migrated to automated platforms. IVRs, web and mobile services have effectively migrated many low-complexity tasks, reserving human contact for more complex contacts. So, is talk cheap in today’s contact centers? I think not, and here’s why. Despite the never-ending seduction of new and emerging automation technologies to drive cost savings, customer care professionals must keep in mind the value of human contact. Social skills bring a real value to the customer experience. Voice is far from dead; it simply has been elevated to address the more complex issues that arise in today’s customer care/contact enter arena. Some of these complex issues arise when a self-service option fails. Poor web self-service interfaces are known to drive up call volume by consumers who are frustrated at having to call to complete their transaction. Let’s face it; self-service is cheaper ONLY if it is the sole channel utilized. When consumers must navigate from one channel to another, the result is dissatisfaction. When automation options are launched without proper vetting, the backlash is lasting in that the consumer has lost faith in the automation option and will stop using it. That is NOT cheaper! People can do things that machines cannot. They can offer engagement, apply judgment and build rapport. But this is only when you have the right people properly trained and compensated. Hence, the question… is talk cheap anymore? Quick answer: NO, it is not. Contact center human resources have been reserved for more complex issue handling, or for issues that may not seem “complex” but have been “complicated” by internal issues. For example, think about the banking institution that requires unique entries into multiple systems to change a customer’s address! A process that, at first glance, appears to be “low complexity” defies automation due to lax attitudes when it comes to the value of system integration. Far too many organizations leave a bunch of random applications in place because the “cost” of integration is too rich. These folks fail to calculate the cost of human engagement and the customer experience. These costs never go down. Until systems and processes are streamlined, automation options will be limited and people forced to manage transactions lodged in poor processes and procedures. Ultimately, contact with a live person should be reserved for the more demanding tasks—and I also include email, chat and text in this discussion—any channel that has a human responsible for the interaction. While voice calls are the “king” of the demand channel, chat and text also expect quick responses and continue to be “manned” by people. Though “AI bots” compete for this business, we are not there yet. Voice contacts are not going away anytime soon. In my experience, this is not solely about demographic preferences (pundits like to argue that it is just the older folks who use phones). It is as much about complicated technical infrastructures that drive process complexity and make automation impossible. People are requisite in navigating demanding tasks because they have the ability to apply judgment and flexibility. Of course, there are dependencies and this includes hiring the right people. Years ago, simply breathing and being available to start Monday were sufficient qualifications to work in the contact center. Today, contact centers are searching for candidates who bring “social skills” to the operation. The criteria for a great customer experience now require that agents have strong skills in both the interaction and the transaction. Machines are strong on the transaction side only! Today’s centers also MUST become obsessed with learning and performance. Complex interactions and transactions require substantial training and ongoing learning. Today’s contact center candidates must be natural learners with an optimistic leaning and a thirst for ongoing development and training. 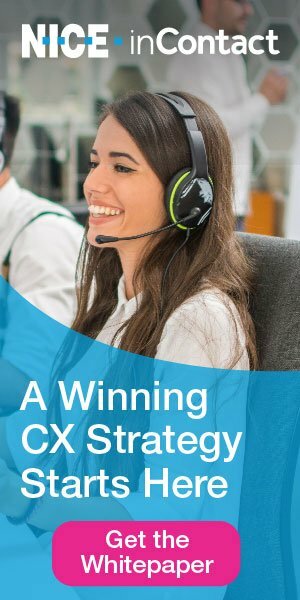 These folks can play a significant role in process analysis and in tending to the reputation of the contact center internally. They are proud of the job they have and the work they do. Leaders must work diligently to make the case for upgraded resources… human, educational, technological and habitat. This requires investment in the contact center in a number of ways. “Talk” is not simply the cost of human resources; it is also investment in an operation that yields a solid foundation upon which to build a high-performance operation. Talk is NOT cheap and neither should it be. Talk is the means for solving customer problems by analyzing them, removing barriers to automation and reducing contacts that require human handling. Finally, as I have said for decades: Elimination is infinitely more powerful than automation. Try using your smart workforce to identify ways to completely eliminate the need for contact. That takes real work, but it is work that really pays off!